Did you know it’s always battery season? There’s no common time of year or activity to watch out for when it comes to your car’s battery life. A battery can give out in the summer because of the heat, but it can also give out in the winter because it requires more cold cranking amps to turn over. Overall life expectancy of a battery these days in Seattle, specifically, is about 52 months. That life expectancy is shrinking with all of the computer systems and features in the newer cars that draw from the battery. There are systems that are still on and drawing from the battery, even when the car is off. Say, you turn your car off and walk away. It actually takes 30 minutes or more for most newer cars to start to shut down. The handy feature where the headlamps stay on at night, then auto-dim and turn off, draw on your battery’s power. Same thing with charging your phone through the old “cigarette lighter” plug. Climate control now has fans installed that stay on to cool the computerized components in the dash for 15-20 minutes after a vehicle has stopped. The demand for safety and convenience features is so high that some cars are going to a dual battery model; meaning, each vehicle will house 2 batteries. 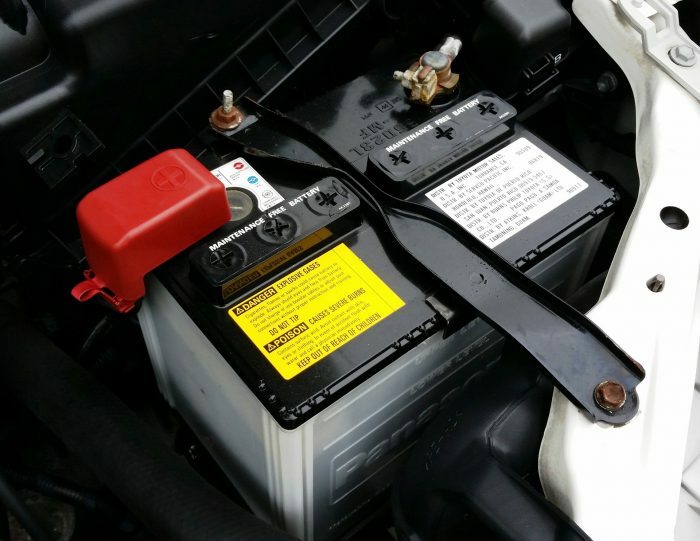 How can you tell when your battery needs to be replaced? One main symptom that indicates a low-strength battery is called slow cranking. When you put the key in and turn the car on, it won’t start or turn over as fast as it once did. Sometimes there really is no warning at all. The key is in, you try to turn it over or turn it on and …nothing. We evaluate every vehicle’s battery with every service. We want to catch it before it fails because you don’t always get a warning or slow cranking. The batteries we use and sell come with a 5-year, free replacement warranty, where most of the batteries out there on the market are for a year, or 2 years at the most. So, in doing the math….if the life-expectancy of a battery is 52 months like we mentioned above, our 5-year (60-month) battery will have you coming out ahead. We’ve got you covered there. Unsure about your own battery? Come in and we’ll test its strength. Schedule an appointment today.